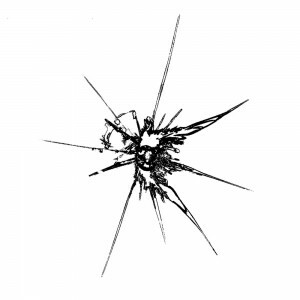 Windscreen repair is now the accepted alternative to replacement for windscreens with stone chips and short cracks. A repair works by injecting an acrylic resin into the area of damaged glass. When cured with the application of Ultra Violet light the repair will restore both strength and optical performance to the damaged area of glass. To complete a high quality repair both the process, equipment and resin used must all meet the required standards. A good resin alone is not sufficient to make a repair the highest quality. To begin with the debris must be cleared away from the impact crater, and the crater opened sufficiently to allow the resin to find it’s way into the full area that has been damaged. Some precision helped by training is required to ensure that the impact crater remains small enough for the equipment to maintain pressure and not allow for resin to leak from the injector. An injection system must be designed to allows the injector to sit at 90 degrees to a curved windscreen. This ensures that it will create sufficient pressure to force the resin in and the air out of the damage. The resin used must be a high quality searching agent that will fill all areas of the damage and allow the cure to be effective all the way to the laminate. This ensures the strength is restored and provides the reassurance that the windscreen will react in a collision the way the original glass was intended. Finally, a deep cure with the correct UV lamp ensures that all of the resin and not just the surface is cured. This prevents discolouration of the repair over time and again ensures that the repair remains strong for the life of the repair.